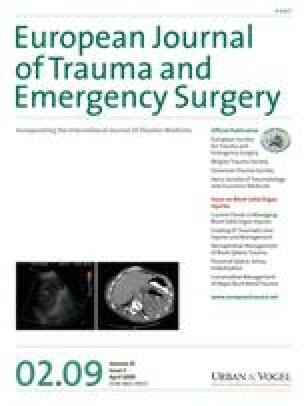 To assess the value of the ultrasound (US) in different grades of acute trauma by comparing with MR.
We analyzed 30 patients, of average age 33, with acute ankle trauma, without fracture on standard radiograms. One week after injury all patients were sent for US. We used linear probe 8–15 MHz. Ten days later, the patients were examined on MR.
Anterior talofibular ligament was normal in 20.6% by US and in 20.3% by MR. Ligament lesion were found by ultrasound in 40%, proven in only 20.6% by MR. Ultrasound diagnosed 33,3% ruptured ligament, MR found 50% rupture of anterior talofibular ligament. In 80.3% cases the calcaneofibular ligament appeared to be intact with both methods. Ultrasound found stretch ligament in 10.6% cases and MR proved that in 10% cases. In other 6.6% cases, MR found complete rupture. Intraarticular effusion was found in 80.3% patients by US and in 86.6% by MR. Lesion of tendon of long peroneal muscle was found in 40.6% patients by both methods. Lesion of tendon of short peroneal muscle was found in 33.3% lesions and proved by MR in only 20.3% cases. In other patients findings were normal. US found 10% lesions of the tendon of anterior tibial muscle and MR found 10.3% lesions. US found 10.6% lesions of tendon of long halucis flexor and MR found 20%. Our results were statistically analyzed by cross-tabs, the Stuart-Maxwell test, Npar tests and the McNemar test. US proved to be a good and reliable method for diagnosing Grade I and II of ankle sprain, but for proper evaluation of Grade III, MR is recommended.